There is no question as to whether Americans are becoming more tolerant of marijuana use, despite the fact that the drug is still illegal on the federal level. The District of Columbia and 23 states now have medical marijuana programs in place, and four of those states have legalized the drug for recreational use among adults. While there is still a lot of we do not know about the drug with regard to both short/long term side effects, as well as the drug's propensity for addiction, research has shown some promise with regard to the treatment of health problems. However, a number of people fail to understand that while the drug is more accepted than ever, it can still have a negative effect on one’s life, leading to dependence and/or addiction. Just because marijuana is now legal in several places, with more states expected to follow, does not mean it is safe; alcohol and tobacco are legal for adults, but use and misuse can lead to addiction and life threatening health disorders. People who use marijuana should also be aware that, unlike alcohol and tobacco, an employer has grounds to fire you for both medical and recreational marijuana use. In fact, data indicates that many employers in states where marijuana is legal will not hire people who use marijuana on their own time, Bloomberg Business reports. The findings come from a survey conducted by the Society of Human Resource Management (SHRM). “There is what I consider to be a significant number of employers that are saying they wouldn’t hire an employee that uses marijuana,” said Evren Esen, Director of Survey Programs at SHRM. Nearly half of the employers have, or plan to implement policies, which restrict employing marijuana users. 38 percent will not hire people who use medical marijuana. Only six percent have a policy which only excludes recreational users. Employers are able to refuse to hire or fire existing employees for marijuana use because the drug is still illegal under federal law, according to the article. 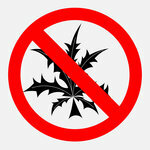 Marijuana users should beware of the consequences that can accompany use of the drug. If your marijuana use is interfering with your life, please contact Hope by The Sea.